Pocket Mortys Is Getting A Spring Update, Get Schwifty! It's time to get schwifty. Schwifty in here. Just don't do any defecating on the floor. You know why? There's a brand new Pocket Mortys update coming soon. As one of the best Adult Swim games around (and licensed games, period) it's free and absolutely worth picking up. It's got a new update too, adding 10 new Mortys to collect, a new Paralyze attack, and the ability to craft items straight from the Recipe menu. It's a whole new ballgame, as the trailer explains. 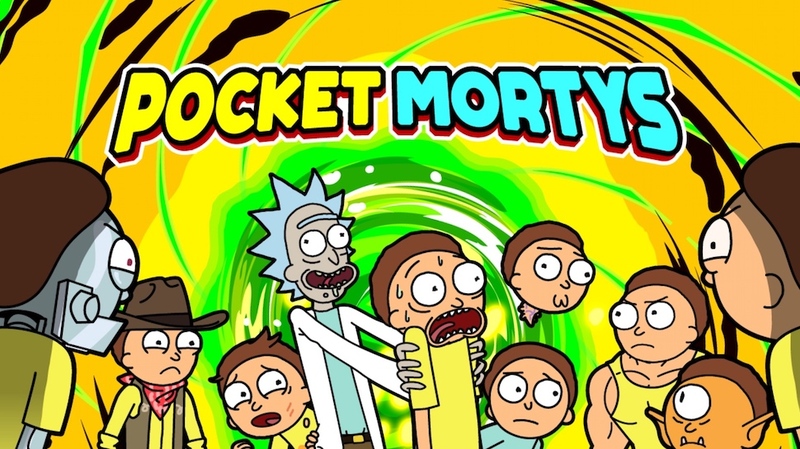 And if you're not in the know about Rick and Morty, Pocket Mortys is one of the best ways to get acquainted with the show. As we've covered before here at Modojo, the game itself is fantastic and a Pokemon clone in the best kind of way. Instead of Pokemon all you do is collect Mortys and have them battle each other. With the latest update there's even more of a reason to jump in and get crazy with collecting, so download it now and see how many Mortys you can find out in the wild!